Movie-makers have their Oscars, scientists have their Nobels, and writers have their Pulitzers. 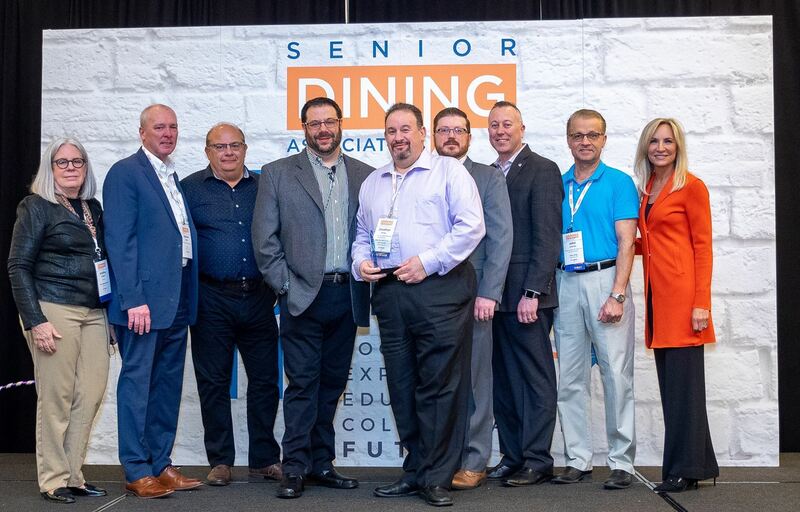 Now it’s time for senior dining professionals to get the recognition they deserve. 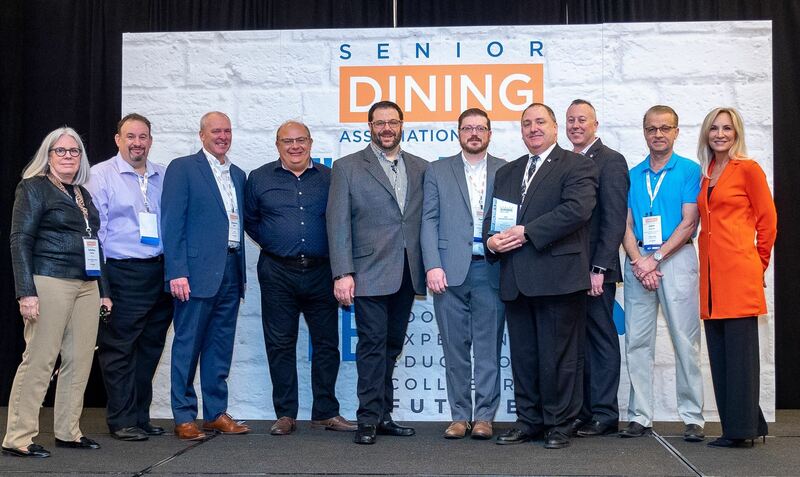 The SDA’s awards program will ensure that the very best in this burgeoning industry receive appropriate kudos from their peers and that all senior dining professionals have something to aspire to. Henry Ford Village (located in Detroit) held an internal “Burger Battle”. The in-house culinary team entered various burger with the “Gouda Mac Hamburger” taking the prize. The team decided to take their winner even further and entered it to compete for “Best Burger in Detroit” Over 1400 people enjoyed the entries from multiple contestants. The team from Henry Ford Village has been invited back to compete again this year, after placing in the top 5. This experience changed the perception of senior living dining, introduced event goers to Henry Ford Village, and gave a great teamwork experience. 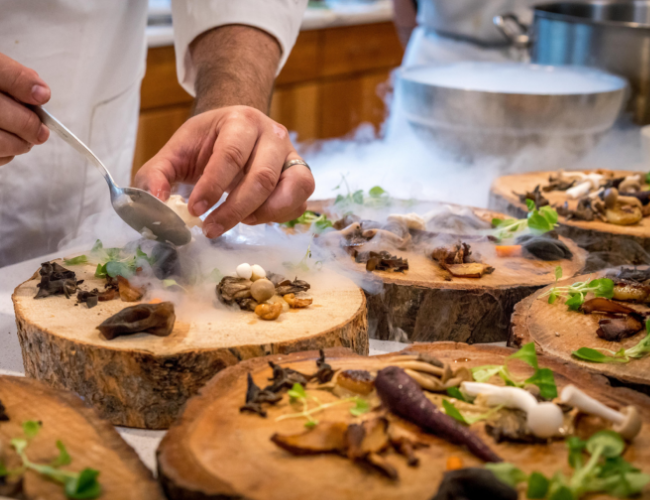 In order to combat the monotony residents experience in dining every day at the same dining room, the dining team at ACTS St. Andrews South has created a monthly intimate dining experience by reservation. This upgraded 4-course meal is served to approximately 20 residents. Three of the four courses are prepared table-side which allows the resident to the opportunity to interact with the chef and learn the details of the menu item they are about to enjoy. The event sells out every month and has a waiting list. Residents are proud to have this experience available in their community. ACTS Life is comprised of 23 communities located in 8 states. The Chop House is a dining experience which converts the traditional assisted living dining room into an upscale white tablecloth restaurant. The Chop House is a monthly opportunity to experience a true steak house. All items are cooked to order and served in true course fashion. 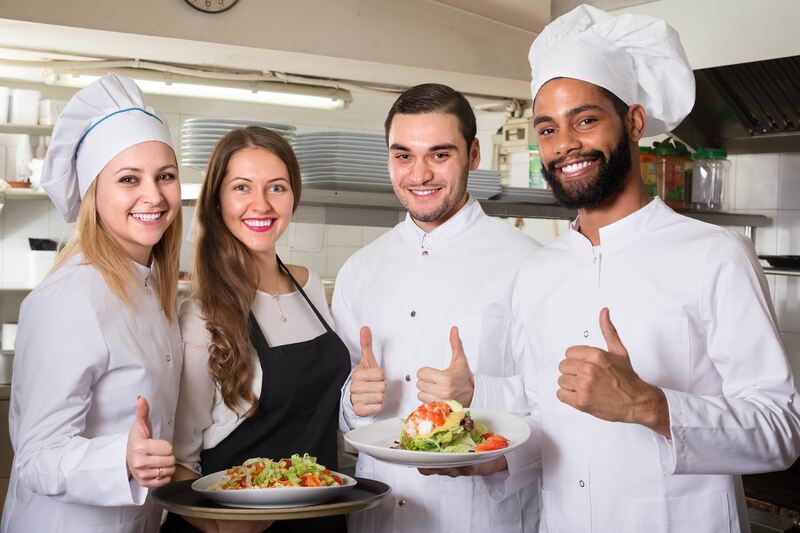 There were multiple positive outcomes to this concept, including elimination of food waste due to the cooked to order experience, enhanced resident satisfaction, and marketing differentiator. The marketing departing has identified three sales directly attributed to potential residents enjoying a Chop House Meal. Brandywine living is comprised of 30 predominately assisted living communities in located in 8 states. The Civitas team created an "Evening in Paris" to celebrate the opening of their flagship community, Ridgelea. This event welcomed over 600 guests to a menu of butlered hors d'oeuvres, including service to the parking valet line! Action stations and an enormous charcuterie board. This event was instrumental in marketing the new community with over 35 leads and 11 actual deposits attributed. Additionally, while the event was planned by the corporate culinary team, the onsite team executed and learned from the experience. Based in Fort Worth, Texas, Civitas Senior Living owns and operates a portfolio of 51 senior living communities located seven states. We all love being recognized for our great ideas and hard work. 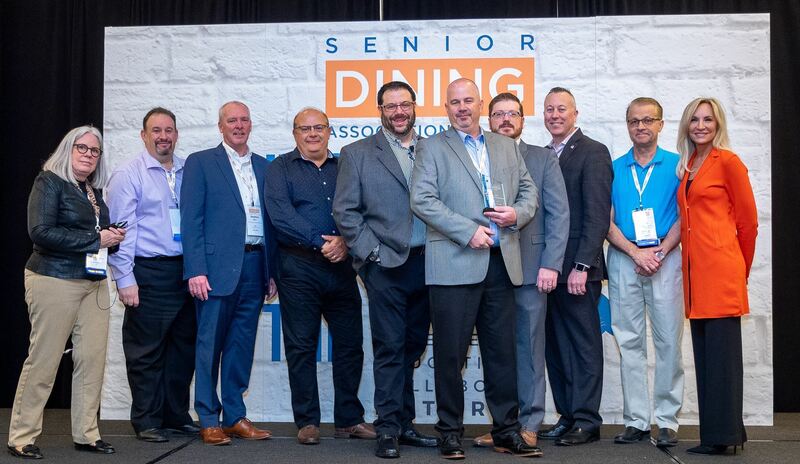 Allow your staff to shine in competing for these awards that will gain you national recognition and the ability to market yourself as an award winning dining program. 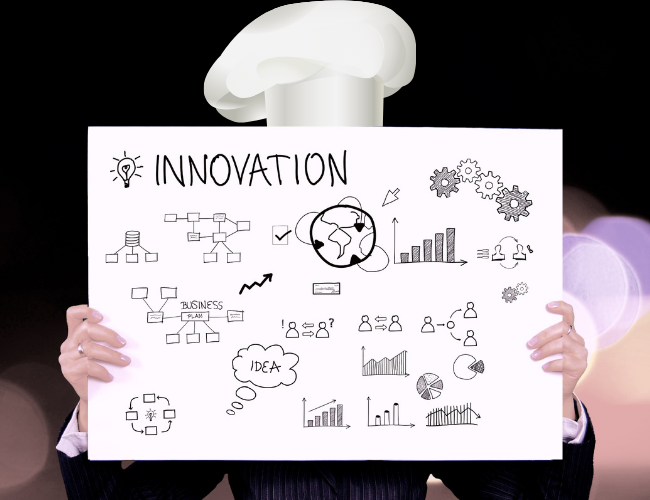 Inspire others with your innovation and culinary know-how. SDA Awards will be presented during the SDA Conference & Expo. This award is granted to a community or organization that exhibits innovation and excellence in at least one of the following categories. Communities and organizations may apply for multiple awards. 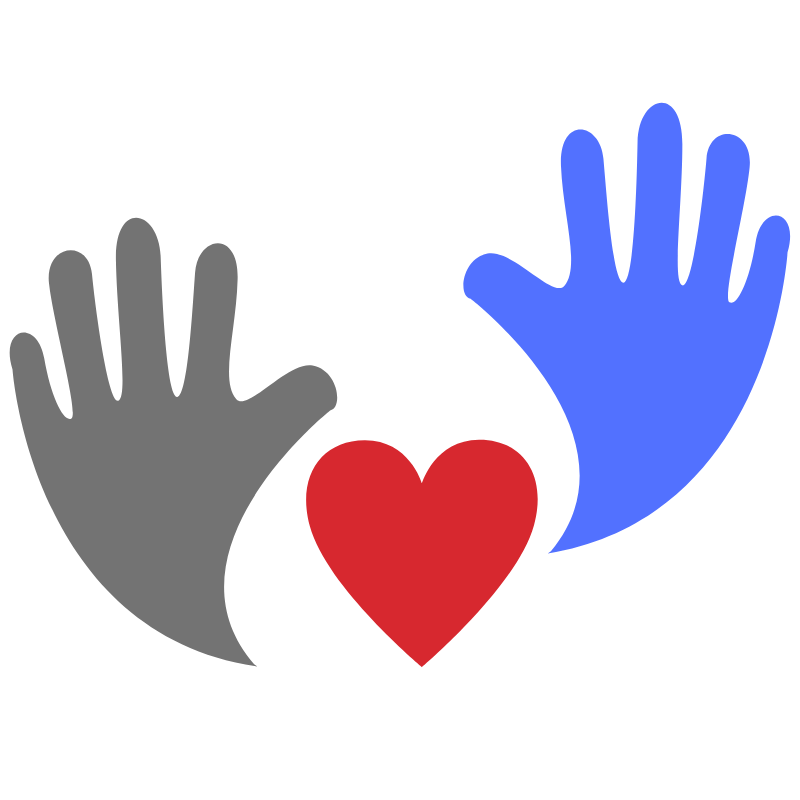 The humanitarian award will be given to the individual or community who has given back to their greater community by addressing an existing or emergent need. This award celebrates those who hear and respond to the needs of others for the betterment of something greater than themselves. 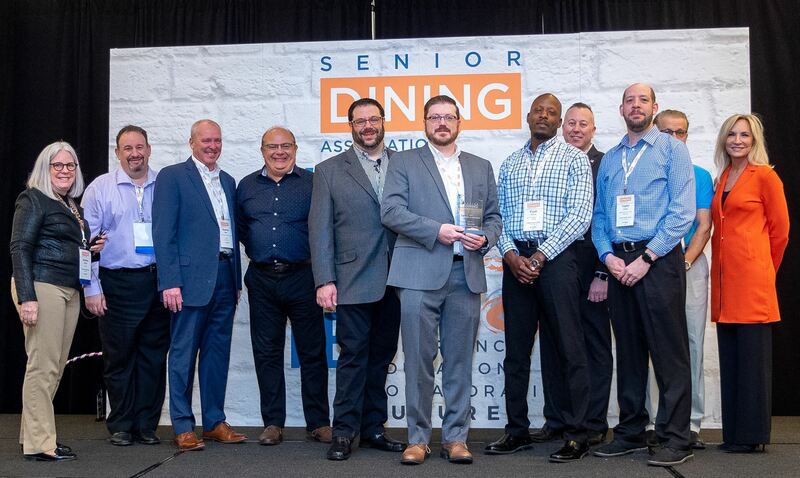 This award is presented to an industry partner based on creation or implementation of products or services benefiting senior dining. 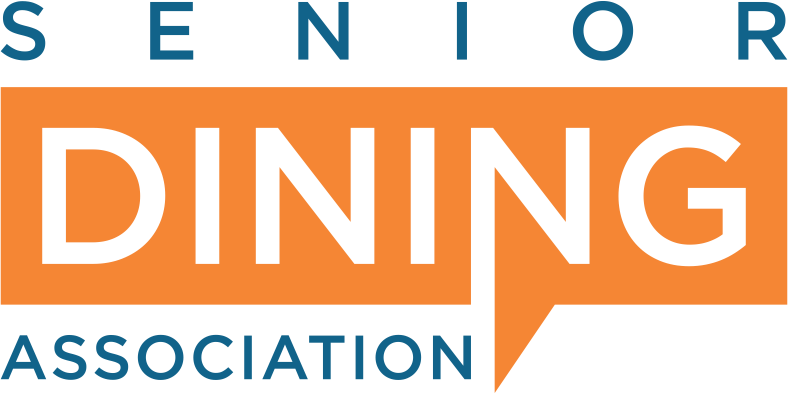 Submissions can vary from educational support through presentation of workshops & programs or by product innovation relative to the senior dining food service industry. To submit your Award Nomination, please complete the award Entry form. All Award submissions are due by 5pm on November 20th, 2019. 1. The contest is open to all SDA members in good standing. Entries must be designed and produced by the member/organization entering the contest. 2. Entries of organization-wide promotions/menus/concepts that are for use at multiple locations, must be submitted by the organization corporate office. 3. All entries must be received by the deadline of March 30, 2018. Entries not received by the deadline will be disqualified and will not be judged. 4. Events must have occurred between January 1, 2018 through December 31, 2018 to be considered. Entries for events outside this time period will be disqualified. 5. The SDA staff will review all entries upon receipt for accuracy, submission requirements, judging criteria, and completion. The SDA reserves the right to entries if deemed appropriate. 6. All entry forms must be entirely completed before submitting. Partially completed forms will not be included in judging. 7. The decision of awards by the judges are final. 8. For an entry which uses copyrighted materials and/or trademarks of others, the entrant institution must first have obtained written permission from each copyright and/or trademark owner, for the purposes reflected in the entry and for further publication and use by SDA. Certification that these written permissions have been obtained is required on the award submission entry form. 9. By entering, permission is thereby given to the Senior Dining Association (SDA) to publish and/or use in any way the material so submitted. All Award submissions are due by 5pm on January 30th, 2019.